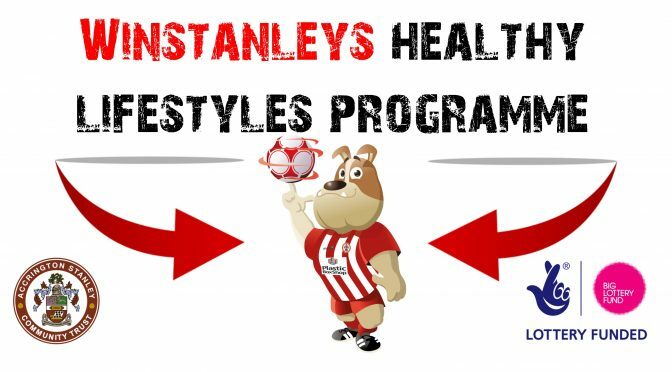 Accrington Stanley secured funding from the Big Lottery Funds Awards 4 All programme in September 2016 to deliver a free healthy lifestyles after school programme in Hyndburn. The programme will see over 500 children take part in a 6 week extra curricular health initiative focusing on nutrition, exercise, diet and raising the awareness of living a healthy lifestyle. As well as the 6 week after school programme we plan to invite a number of children and their families to Accrington Stanley’s Football Stadium to take part in extra activities on a match day.